This most interesting scene can be witnessed every day within this period exactly at noon at the Peristil square. 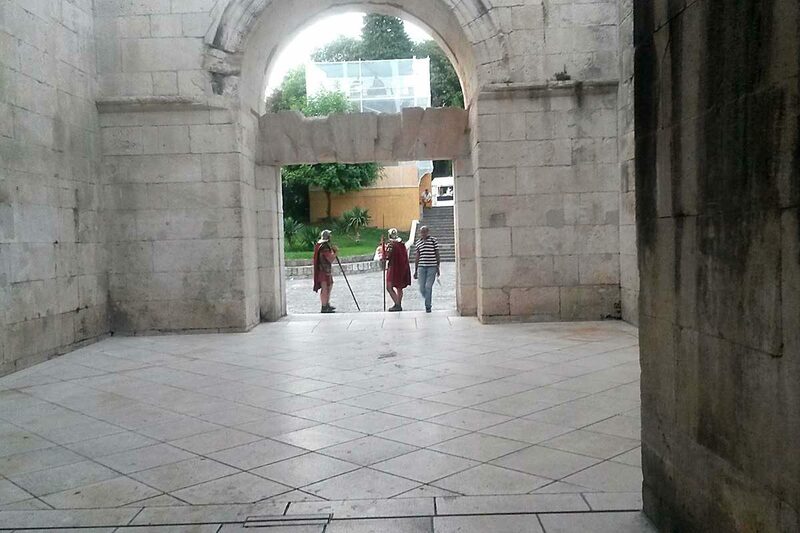 During the change of the guard appears emperor Diocletian himself alongside six of his soldiers. Emperor then welcomes the commoners and holds a commemorative speech, inviting guests to his palace, one of the seven UNESCO sites in Croatia. And you should definitely follow his advice, since all kinds of beautiful things await inside for you to discover them! After the sightseeing of the Palace, hop on board one of our boats to explore Šolta – beautiful island on which Diocletian had his summer residence.